Auctioned on eBay in April 2005. 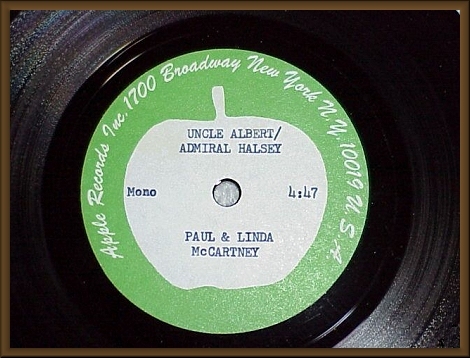 Offered here is a 7" 45 rpm promotional acetate by Paul and Linda McCartney.The titles include Uncle Albert/Admiral Halsey and Too Many People. Both are in Mono. The disc is in near mint condition and the sound quality is great. The labels have some minor 'yellowing'. 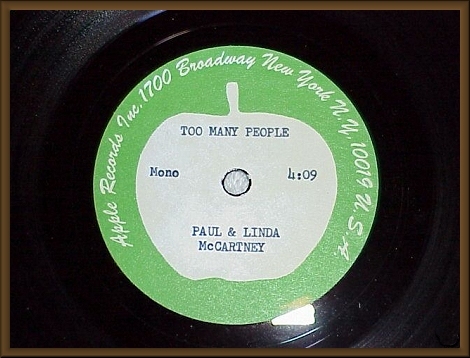 A brown auiodiscs sleeve is included.